14K gold shamrock earrings are hall marked by the Irish Assay Office at Dublin Castle. 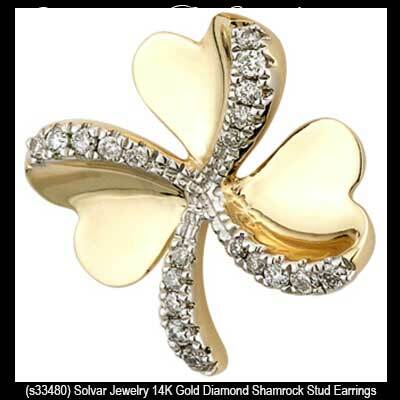 The leaves and stems of these 14K gold shamrock earrings are accented with diamond that have a 0.08ct total weight. 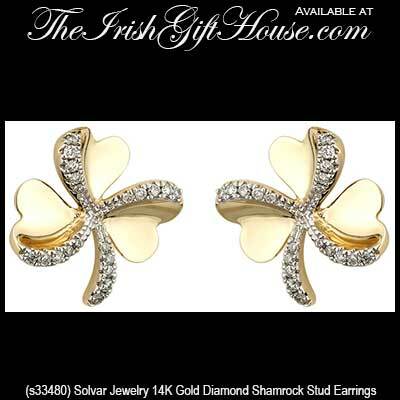 The diamond shamrock earrings are studs on posts with push on butterfly backs. The shamrock stud earrings measure 3/8" wide x 3/8" tall.